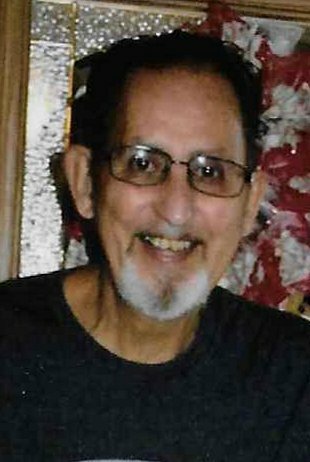 Bradley Reed Russell, 73, of Lowell, died Sunday, July 2, 2017. Born May 9, 1944 in Akron, OH, he was a son of the late John and Ella Hupp Russell. He was a Vietnam War veteran, having served with the U. S. Army from 1967-1973. Brad had retired as a bus driver for Fort Frye Local Schools. He also had worked at Haas Septic Services, and in his retirement had driven truck for Worthington Produce. He was a hard working man and enjoyed time spent with his family. Brad enjoyed cleaning and detailing his cars, including his 1975 Ford LTD. Walking became an enjoyable time as well. He is survived by a daughter, Melissa Brooker (Anthony), of Lowell, and a son, Charles Russell, of McConnellsville; three grandchildren, Russell Brooker, Haley and Dillon Russell; two greatgrandchildren, Zane Russell and Emma Huck; and by Mary Border, of Beverly, with whom he has enjoyed spending the last ten years. Brad was married October 8, 1966 to Judy Lou Reiter, who preceded him in death on August 6, 2003. He also was preceded in death by his first wife, Wilma Jean Miller and his brother John Francis “Frank” Russell. Funeral services will be held 12:30pm Thursday, July 6, 2017, at Salem Township Cemetery, with Zack Waite officiating, followed by Full Military Rites. His family will receive friends at the Lowell Chapel of Cawley & Peoples Funeral Home on Thursday from 10:00am until noon. Memorial donations may be directed to the L-A Fire & Rescue, P. O. Box 406, Lowell, OH 45744. To send flowers to the family of Bradley Reed Russell, please visit our Heartfelt Sympathies Store.